Summer is nearly here, and if the last few years are anything to go by, we’re in for a long and hot one. The impending heat, of course, means attending to your garden with mulch and wetting agents, raising your mowing height a little, and protecting against pests. But the approach of the hot months also means it’s time to start preparing your animals—these are among the most important yard jobs you’ll need to complete before summer sets in. 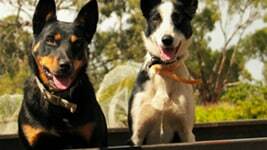 But luckily, you’ll only need a little elbow grease, and just a few simple tricks, to protect your pets and farm animals from the harsh heat of Brisbane’s hot season. The most important factor in taking good care of your pets and farm animals throughout Brisbane’s hot months is water. Your pets and farm animals should have easy access at all times to water troughs or containers, which might mean increasing the number of watering points, or increasing the water flow in especially hot weather. The troughs should be placed in the shade to prevent evaporation and the water from overheating, and they should be firmly secured to prevent them from tipping over. If you’re able to install a more permanent water solution for your animals, concrete troughs are a good option for keeping water cool, and wide pipes from the water outlet are best to maintain water pressure in periods of high use. If you have quite a few animals, consider investing in an automated system rather than containers that you’ll have to continually check. Your animals also need to be familiar with where their water is located, and they shouldn’t have to walk too far to get it. If you’re installing new water points, or you’ve got new animals, make sure they’ve had some time to get used to where their water source is located before the heat sets in so they’re not searching for it when they really need it. 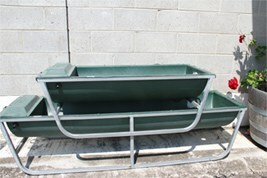 The troughs should be placed in the shade to prevent evaporation and the water from overheating, and they should be firmly secured to prevent them from tipping over. Shade is perhaps the most important factor in their shelter, and whether it’s for larger farm animals, or smaller pet animals in kennels, hutches, pens, and aviaries, they should have shaded areas to use at all times of the day.This is particularly important for animals like pigs, which are very susceptible to sunburn, young animals, and dark coloured animals whose coats absorb more heat. You might even consider using misters or sprinklers in extreme heat, which is especially helpful for looking after poultry. Trees with large canopies will provide a good amount of shade without losing the cooling effect of the breeze, and you could consider moving your animals and their enclosures to more shaded areas of your garden when it starts to heat up. Your animals need extra shelter during long, hot summers in Queensland to protect them from the extreme temperatures and weather that comes with it. You might also consider making use of existing shrubbery, or planting shelterbelts or hedges to block the heat from the hottest times of the day from reaching your animals. Your home might have some cooler sides and areas, so if you don’t know already where they are, have a good look before deciding where to move your animals. If you’re constructing shelters, the best materials are those that will allow good shade without blocking the airflow. Aluminium, steel, or corrugated iron roofing is excellent for reflecting light and heat, particularly when it is angled rather than flat. Timber and shade cloth will also give some protection without blocking the wind. Because storms are always frequent in the Queensland summer, always ensure that your shelters are safely secured to withstand gusts of wind, hail, and heavy rain. You also need to ensure that your shelters are large enough for your animals. If they have to crowd too closely together underneath them, they’re at risk of smothering and overheating. You might consider separating your animals by fencing off areas to divide them into smaller groups, to prevent them from crowding together in one area and around a single water source. In times of intense Queensland heat, your animals will fare best being handled as little as possible. This might be difficult for you or the children in your family, who are accustomed to having long cuddles and games with your pets and small farm animals; but in extreme temperatures, it’s better for animals to be able to limit their movement, so try to avoid engaging them in rigorous activity during these times. This is particularly important for small or young animals, which have difficulty regulating their temperatures. If you need to transport your animals, try and do it very early or late in the day, in the coolest times. Don’t fill your transportation vehicles to capacity: the animals will need more space between them at these times to ensure enough cooling air flow. Always plan the transportation according to the fastest route, and have rest stops for watering and ventilation if necessary. Try to limit yout animals movements during the hottest part of the day. It’s important to watch your animals for signs of heat stress, so you can act quickly if they’re suffering. Heat stress can be fatal to pets and farm animals, and it can have a very fast and unexpected onset. And always keep your local veterinarian’s contact details handy, so you can get help for your animals quickly if they are deteriorating or not improving from heat stress. Summers in Queensland are unforgiving, both to people and their animals—but just a few of these small considerations can go a long way towards protecting your furry friends during the long hot months. At Gleam O’Dawn, we stock a big range of products to help you with taking care of your pets and farm animals in the heat—including fencing, housing materials and premade enclosures, and solutions for feed and watering. we’ll help you and your pets breeze through the summer.